Share news of Akshaya Patra with your online network. Write about us on Facebook and Twitter, share the link of The Akshaya Patra Foundation’s website, share our Public Service Announcement (PSA) with your friends and followers, or embed an Akshaya Patra PSA on your own website. Akshaya Patra on Linkedin caters to people in the professional world. On this social networking platform the foundation shares its latest news and updates. Here one can also discover many opportunities and get connected. On Twitter, Akshaya Patra sends out tweets of the latest happenings in and about the Foundation enabling people to be aware, to follow, to retweet and spread the message about the cause. Facebook is where Akshaya Patra brings in likes and comments about its updates of campaigns in progress, posts about the cause and many other interesting information. It serves as a highly interactive medium to communicate and share with all. In order to connect with people who matter most, Akshaya Patra is active on Google+. One can find posts of the current events, campaigns, videos and other interesting information which can be commented on and shared across amongst friends and well-wishers. YouTube provides Akshaya Patra a forum to connect, inform and people across the globe about the foundation. It acts as a platform for audio-video presentations, campaign videos, News clips and many more. Find the best photographs related with the cause of Akshaya Patra and get inspired. Akshaya Patra regularly updates the site with exciting images to give an insight into the organisation. All cool and interesting things about Akshaya Patra are featured here. One can pin on the best items organised in boards quick and easy! To stumble upon the most interesting news, updates, articles and images of Akshaya Patra one can visit its StumbleUpon page. One can click on any article and view or read more to gain awareness about the foundation. 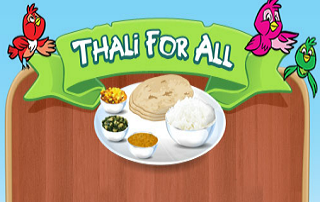 It's a cool game app developed by Akshaya Patra available on facebook. It is a user friendly game designed for you to have fun as well as play for a cause. Subscribing to Akshaya Patra website RSS removes the need for users to manually check the web site for new content. The browser will constantly monitor the website and informs of any updates. 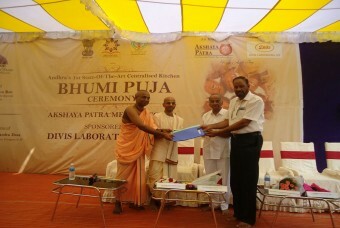 Read interesting blog post covering fascinating topics about The Akshaya Patra Foundation here. The blog is regularly updated with fresh articles for readers of all ages building an intellectual connection. It acts as a one stop station for all information related to The Foundation. Relevant news, events, articles, blogs can be found here besides every other important facts and figures about the foundation. Read interesting stories of our beneficiaries, school teachers, principals, and over time many more people who have influenced, and been influenced by our Mid-Day Meal Programme.